A quarter of a mile away is Little Malvern Court, originally a Benedictine monastery with its adjacent Priory Church, reduced at the Reformation to the chancel and tower of the original building which now form the local Anglican parish church. 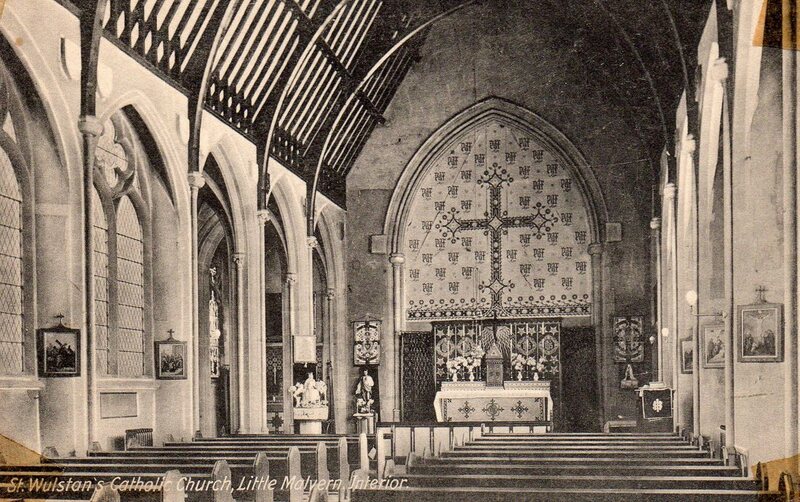 ​Little Malvern Court was in Catholic Recusant ownership until the 20th century, had a priest's hole during penal times and later a chapel for local Catholics. By the middle of the 19th century this was becoming too small for the local Catholic congregation and so, in 1862, a new church, St Wulstan’s, was built nearby. It is probable that the Catholic Mass has been celebrated at Little Malvern every Sunday since the Reformation. ​The main church was built in 1862 with the Baptistery being added some years later. The land was made available by the Berington family of Little Malvern Court. In the original design there was the intention to have an apse behind the main altar but this was never built as there would not have been enough support for the foundations needed. An early photograph of St Wulstan's church. The building to the left became St Richard's School for many years but has been a private residence since the 1960's. An old print showing the sanctuary with the original wooden altar at the rear. This was replaced in 1962 with the marble altar and altar rails we have today. 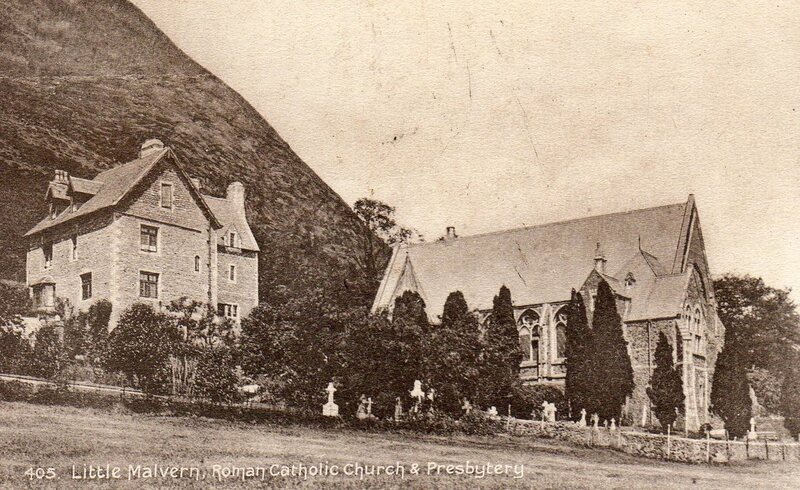 The church was officially opened in 1862 and the Illustrated Malvern Advertiser ran an article covering the event. Click here to view the original. Click here to view a copy of the original 1962 order of service for the consecration of the marble altar.